However, PIP will not cover acupuncture treatment and other holistic healing practices. Another important limitation to be aware of is if your bodily injury is not considered serious enough for a trip to the emergency room, you can only obtain $2,500 worth of PIP benefits. As you can see, Florida’s PIP laws are unique, especially when compared to other states. For example, in most other states, PIP coverage applies to you and members of your household. However, in Florida, you have the right to choose whether PIP coverage applies only to you or extends to household members. Another unique aspect of Florida PIP laws is that it is only required to cover 80 percent of your medical expenses. This means that if you have $10,000 in medical bills, you’ll only be able to recover $8,000 from PIP to reimburse you for the expenses. Florida also adheres to a strict set of rules when an injured motorist files a PIP claim. For example, you need to present evidence that you received medical treatment for your injuries within two weeks from the date of the automobile collision. If you wait longer than two weeks, you will likely not be able to access PIP benefits. In addition, your auto insurance company is afforded sixty days to investigate your claim, though they are obligated to pay within thirty days. This highlights the importance of tracking all of your medical expenses and maintaining a log of your treatment. If you lost income due to the injuries you suffered in the accident, you can access PIP for reimbursement of those wages. To access lost wage benefits, you will need to supply your insurance company with a document verifying your wage and salary. This document needs to be filled out by your employer. The insurance company will review the wages you earned in the three months prior to the collision. If you lost a loved one in a car wreck, PIP can actually be used to help pay for funeral and burial costs. Though, this benefit is typically limited to $5,000 in available benefits. 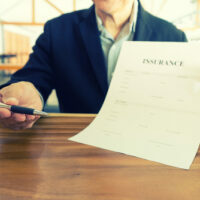 As you can see, PIP benefits are quite complex and there are many rules and stipulations you need to be aware of in order to qualify for PIP coverage. That is why it is important to contact the personal injury attorneys at the Miami office of Alan Goldfarb, P.A. to help guide you through the PIP claim process and personal injury claim process. Contact our office today for a free, confidential case review.